WASHINGTON /PRNewswire-USNewswire/ -- Saudi Arabia's Ministry of Defense today announced it is prepared to deploy ground forces in Syria to fight Daesh (ISIS), if the U.S.-led international coalition also deploys ground forces. Brig. Gen. Ahmed Asseri, advisor in the Office of the Minister of Defense, made this announcement during an interview with Al Arabiya. Since 2014, Saudi Arabia has been among the coalition of nations of Operation Inherent Resolve conducting airstrikes against Daesh (Islamic State of Iraq and the Levant) in Syria. Saudi Arabia has been an international leader in finding a solution in Syria, through financial, military and diplomatic means. Saudi Arabia has provided more than $700 million in aid to the Syrian people. Today, Saudi Arabia pledged an additional $100 million in funding at the international donors' conference in London. Saudi Arabia has long condemned terrorism in all its forms and maintains a policy of strong international cooperation to fight terrorism around the world. 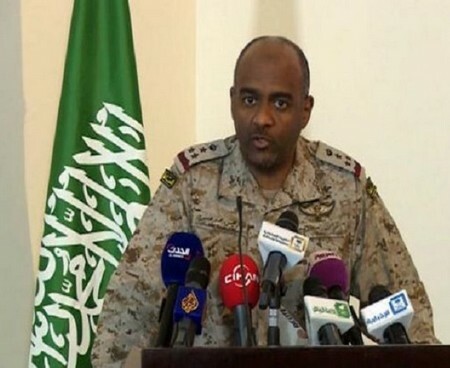 In December 2015, Saudi Arabia announced the formation of a multi-national Islamic military coalition to combat terrorism, with a joint operations center based in Riyadh. Tags: Brig. Gen. Ahmed Asseri, Saudia Arabia, ground operations, Daesh in Syria, Islamic State of Iraq and the Levant To share or post to your site, click on "Post Link". Please mention / link to the ARRA News Service. and "Like" Facebook Page - Thanks!